Early in my whole loan trading career, an investor once offered to fund a partnership that would purchase second position liens, also known as second mortgages, secured by commercial real estate. The investor promised to pledge a substantial amount of capital, if I was able to assemble a portfolio of target assets. Understanding the risk/reward profile of such an investment and desiring to deliver for what seemed to be a potential source of new business, I quickly began to work on finding commercial seconds to underwrite and select. After a few days on the phone with a number of commercial lenders, real estate debt funds and large financial institutions, I began to realize that commercial real estate second mortgages were not easy to find. Finally, after a few weeks of searching, I informed the investor that I was unable to find any asset worth purchasing that met his mandate. Nearly ten years later, I now understand why the second mortgage, an established method of financing in the world of residential finance, is so infrequently used in commercial real estate. To state it plainly, the property-income focus of commercial real estate, makes commercial seconds more of a liability than an asset. It is this income focus that leads most commercial lenders to emphasize property performance over the qualifications of the borrower. As a result, most commercial financing is offered with no recourse to the buyer upon default, giving the lender as much control over a distressed asset as possible and incentivizing the owner of a distressed property to “walk away” when there are no more options. 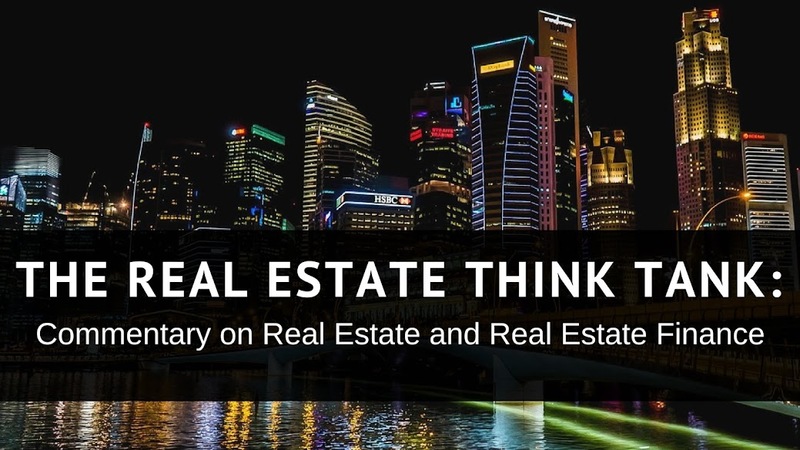 In order to maintain as much control over the property as possible, most commercial real estate lenders will insist that they be on the only creditor of the property and that the property be structured in such a way that it is remote from the bankruptcy of the borrower. These goals are typically accomplished by establishing a holding entity for the property to be financed, placing the borrower in the equity position of the entity and making the lender a creditor of the entity, secured by its largest asset. Once you understand the motivations of a commercial lender, the reasons for the unpopularity of second liens in commercial real estate become clear. Second position liens allow for a party other than the lender to have a claim to property in the event of default. This claim is superior to the rights of everyone except for the first mortgage lender. Although, the second mortgage holder could not foreclose on the first position lien holder, it is in an advantageous position for a number of reasons. The most powerful of these reasons is that the second position lender typically has lent a fraction of the capital that the first position lender has. As a result, a second position lender has gained a claim to a valuable property for a minimal investment. Moreover, the second position lender has the right to foreclose upon default and take possession of the property without having to assume the liabilities of the former owner. The ability of the holder of the second mortgage holder to clear all other junior liens and wipe out most owner-created liability troubles first position lenders, as it incentivizes foreclosures, leaving the first position lender with a new owner of the property that is subject to the first position lien on the property, but not to the terms of the mortgage. The freely transferable nature of second mortgages only exacerbates this potential situation. In the end, the first position will likely have to foreclose or at least threaten to do so upon the default of the second mortgage, an outcome that is far from desirable. In order to comply with commercial real estate financing practice of having only one mortgage on the property, most secondary financing is conducted by pledging or selling the equity in the entity to willing lenders. These types of financing are called mezzanine or mezz financing. The mezzanine lender is in a less enviable position than the second mortgage holder, in that a mezz lender only has the right to foreclose on the equity of the entity in the event of a default. Foreclosing on the equity would simply put the mezz lender “in the shoes” of the defaulted borrower, subject to all of the legal claims against it, including the mortgage on the property. As a result, in practice, most mezz lenders do not take any action to protect their investment upon default of their debt or the potential default of the property. Doing so would only place upon the lender a liability far in excess of the amount that it lent to the borrower. The title of this post, however, suggests a comparison. This begs the question—why, then are second mortgages used in residential real estate? Well, first, they aren’t frequently used any more. Since the market crash of 2008 and the subsequent legal and regulatory reforms, the once common practice of using a second mortgage to either make up for a lack of funds or to avoid PMI, called piggybacking, has nearly disappeared. Secondly, residential lending is less property based and more borrower focused. The income of most residential properties is typically not substantial enough to attract the attention of a second mortgage holder, so the incentive to foreclose the second mortgage is not as great. Additionally, the Uniform Commercial Code and most state foreclosure and lien laws give the first position lien holder the right to pursue the borrower for satisfaction of the debt, with the second mortgage holder receiving nothing until the first lien is satisfied. As a result, the first mortgage lender is less concerned with the actions of the second mortgage holder. Well, those are my thoughts on the matter. Please feel free to comment below.